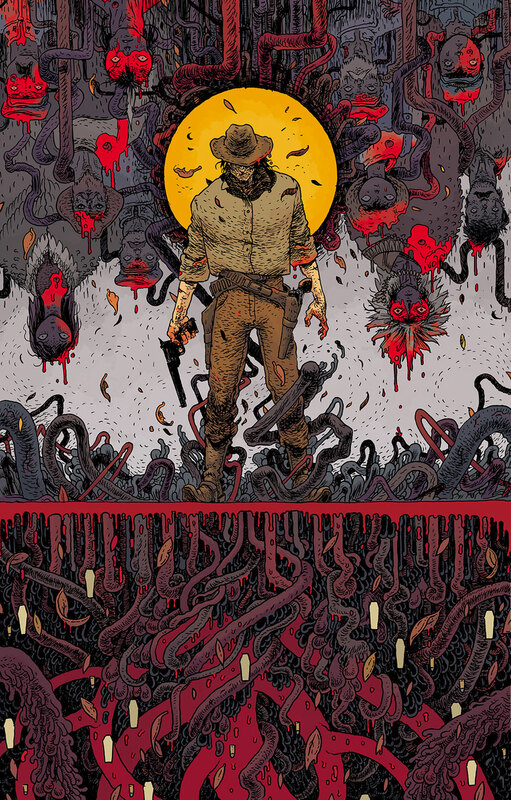 Abe discovers parts of the biggest answers, withheld from him for decades by the BPRD itself. 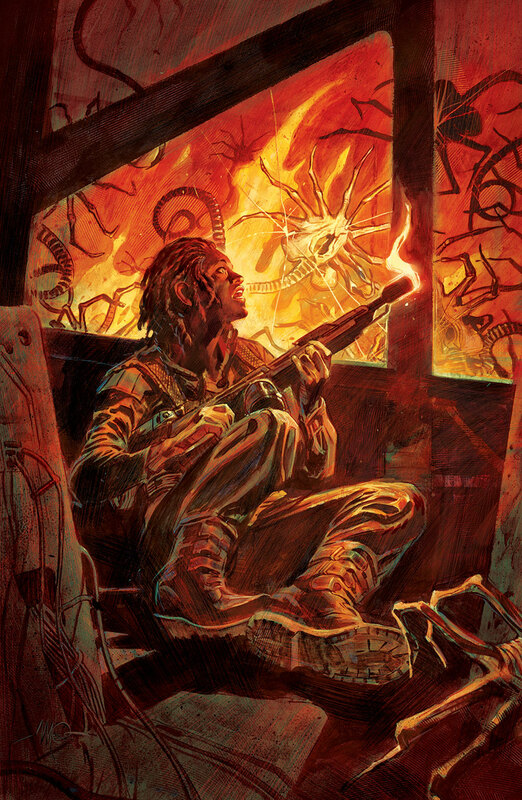 Colonial Marine Hendricks and the Weyland-Yutani synthetic Davis break protocol, navigating the Europa to a distant science station discovered in the once-derelict ship’s data records—a station that recently went dark. Following the trail of the alien species, they dive deeper into a conspiracy, uncovering just how much is riding on their choices. 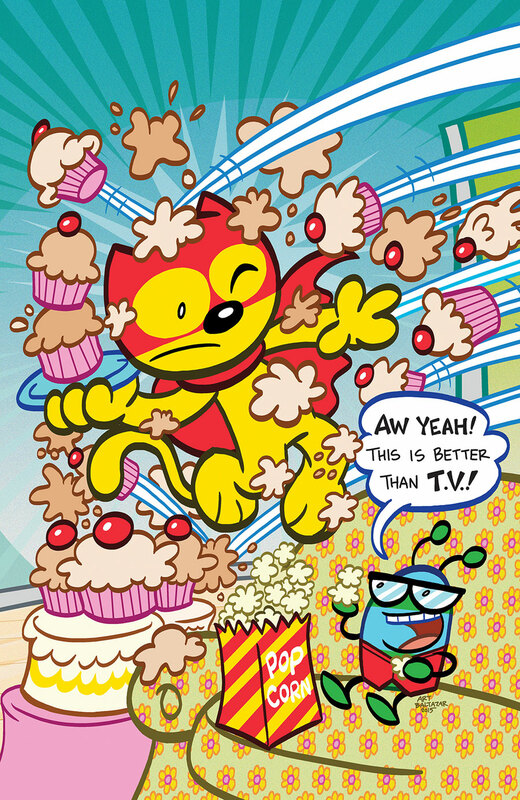 • Evan Dorkin and Jill Thompson return to the characters that won them the 2005 Eisner Award for Best Short Story! While Dawn and Xander are trapped in another dimension, Buffy, Willow, and Giles are deal with betrayal from the Magic Council, the faerie folk, and the military—no surprise there—all while trying to keep peace among themselves. Demon invasions wreak havoc worldwide when an interdimensional portal lands in the wrong hands. 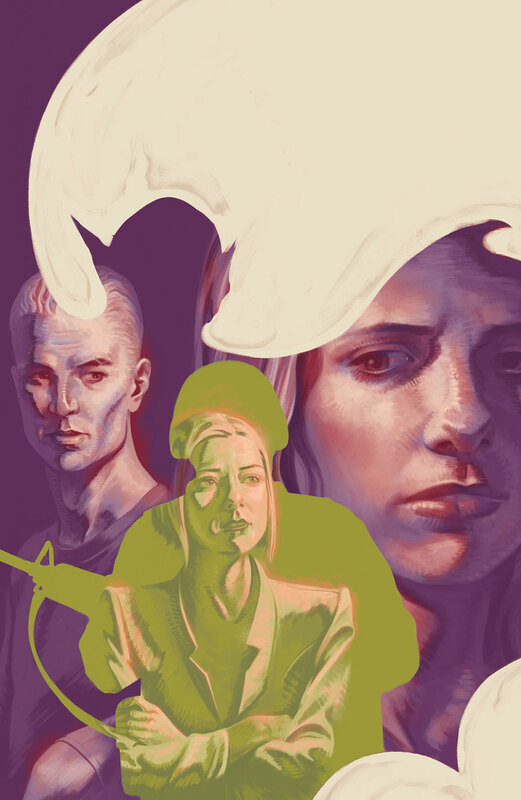 As new threats pour into the streets, Buffy and her closest allies find their paths diverging: Willow gets a serious job, Xander and Ghost Anya grow perilously close, Andrew is tempted by evil, and Buffy and Spike continue to work at making their relationship, well, work. 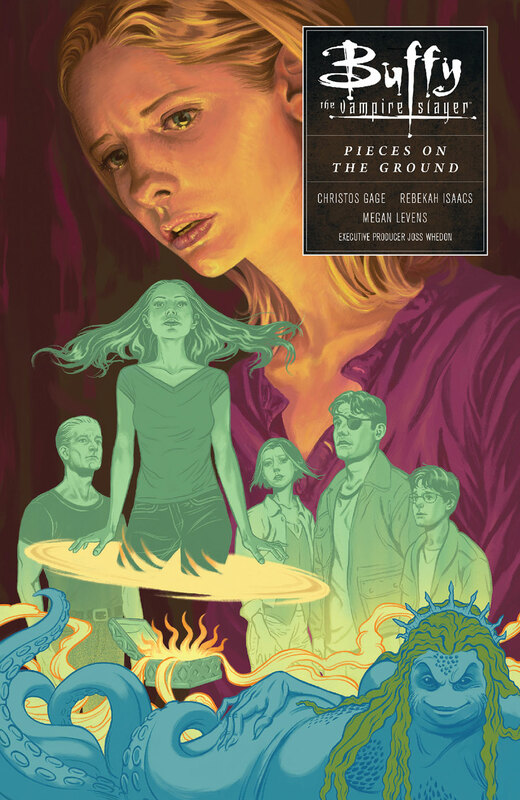 Collects Buffy Season 10 #21–#25. Having lived through the first round of judgment in the trap that is Hope’s Peak Academy, bonds are beginning to form among the surviving students. 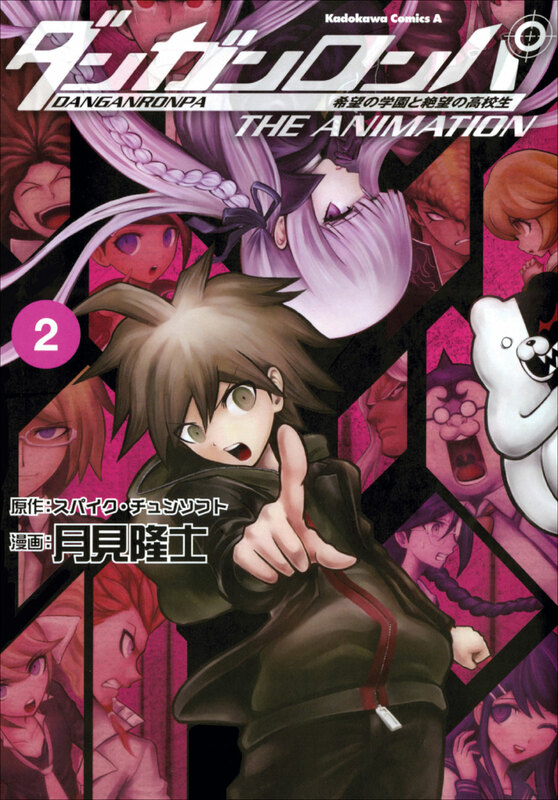 But the evil paws of Monokuma, the villainous bear that holds them captive, are stretched around them . . . one light, one dark, signifying that at this school there’s only room for two kinds of students: those found innocent—and those found guilty! • Inspired by the video game series from NIS America and now on Steam. 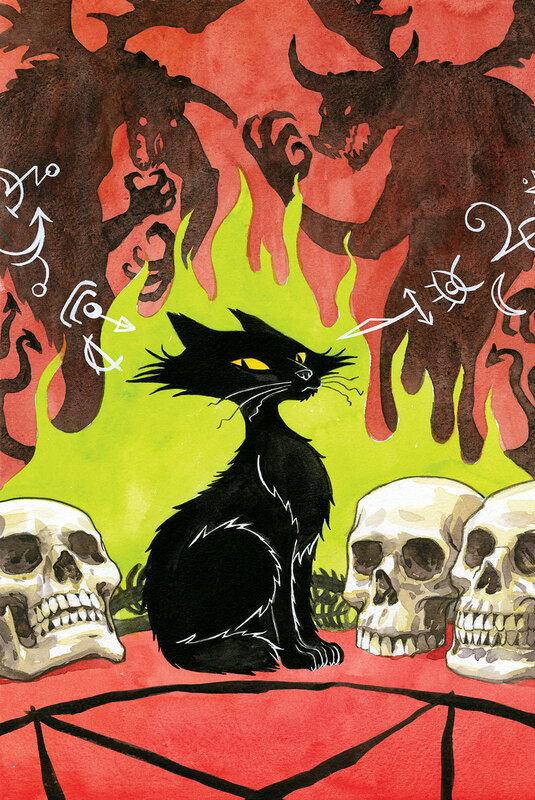 In this issue of the Harvey Award–winning Dark Horse Presents, Jeff Lemire introduces readers to the last surviving coven of extraterrestrial witches in the heartbreakingly magical story The Witches of Mars! Swing alongside the King of the Jungle in the modern tale The Once and Future Tarzan, by Alan Gordon and Bo Hampton! 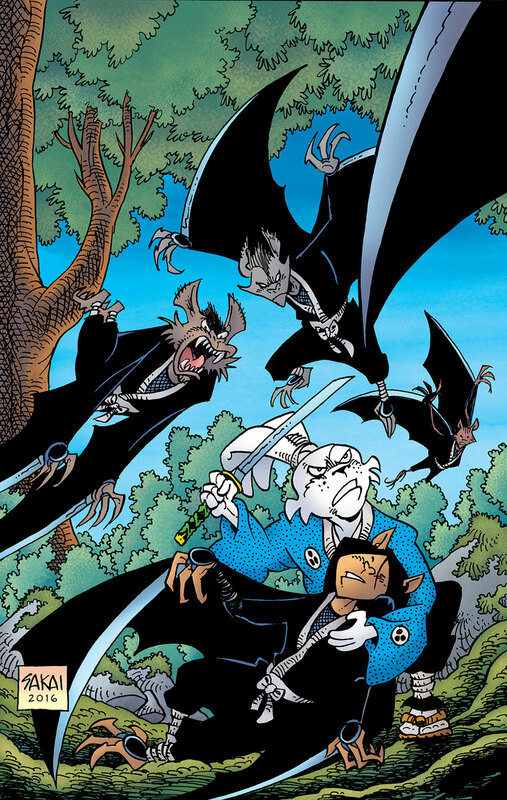 And Michael T. Gilbert returns to DHP with a new installment of Mr. Monster! 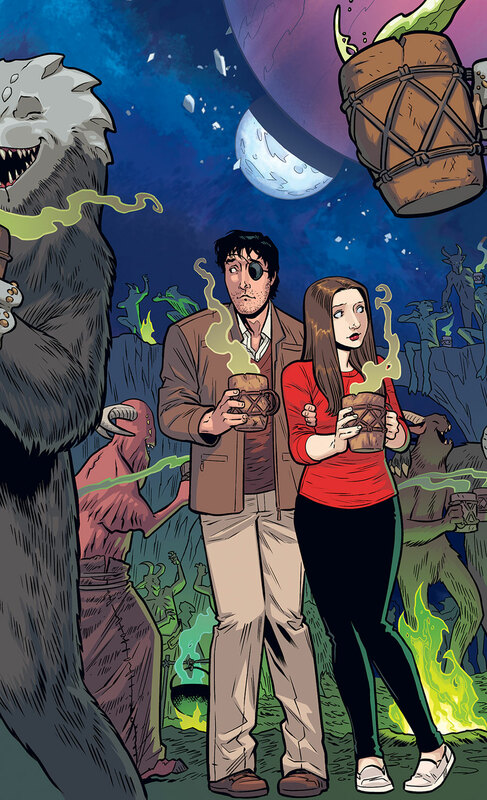 This issue also features the continuations of Carla Speed McNeil’s Finder: Chase the Lady, Paul Levitz and Tim Hamilton’s Brooklyn Blood, and Dennis Calero’s The Suit! 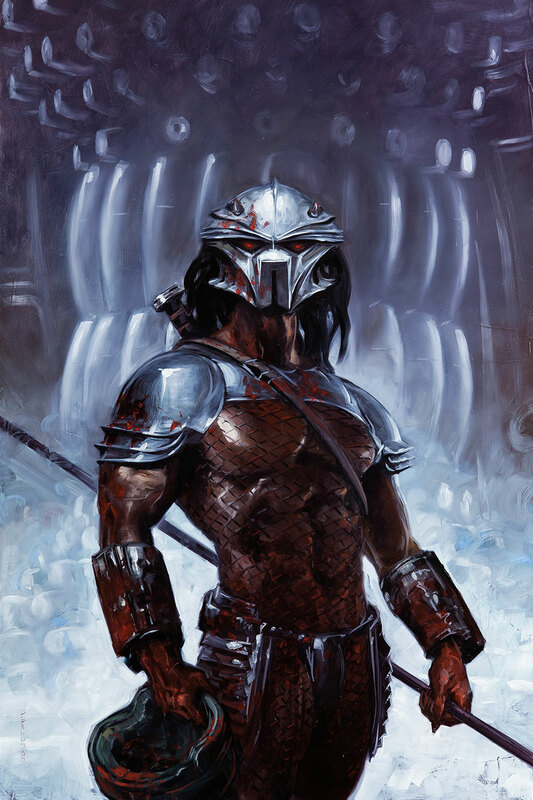 The Death Dealer is one of the most widely recognized works of art in the realm of dark fantasy. A particularly standout element of the Death Dealer is his detailed and powerful shield. 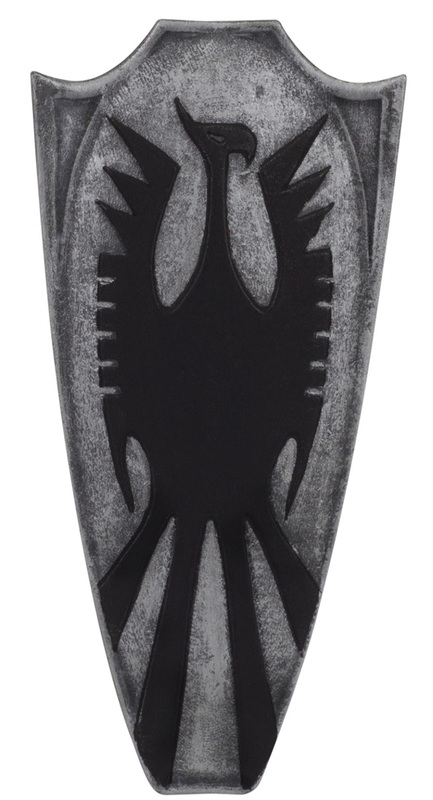 With this new release from Dark Horse Deluxe, you can carry the Death Dealer’s shield with you. Produced with the utmost attention to detail, this high-quality pin replica measures 3” x 1.5”. Fitted with a vertical pin back for comfortable wear, the pin is beautifully displayed in a custom die-cut foam and cardboard sleeve that features the Death Dealer painting on the back— all protected by a clear plastic covering. 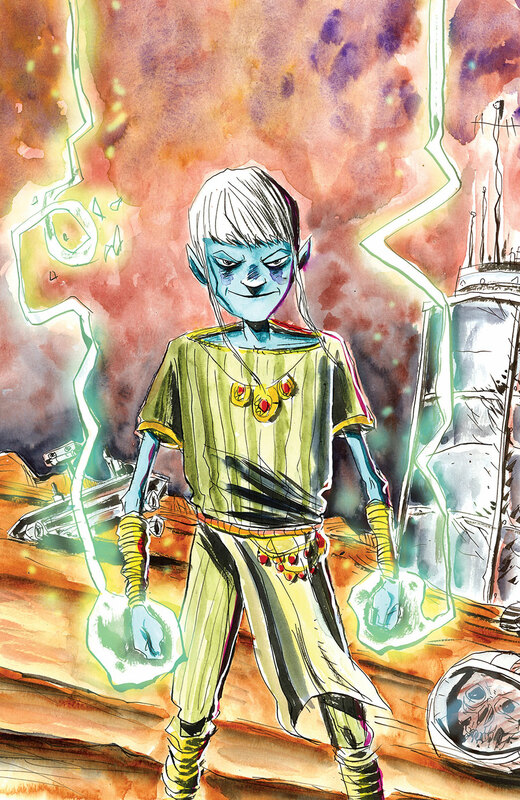 Matt Kindt’s survival sci-fi series continues! Mia’s investigation into the sabotage of an underwater station becomes complicated by the disappearance of a loved one, the loss of communications with the world above, and a confrontation with a giant squid and other strange creatures of the deep. Tessa and Marius are mercenary partners who eliminate those that use magic to hurt others. 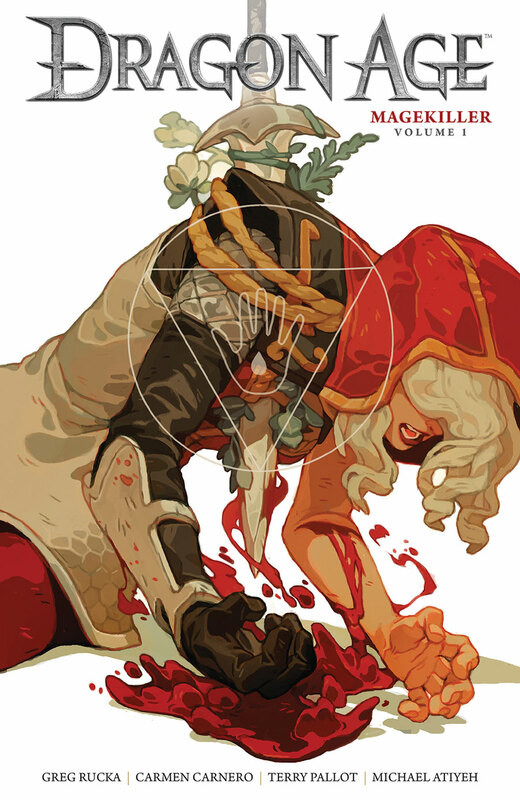 When they betray a powerful patron intending to kill them, they’re forced to flee and join the Inquisition. 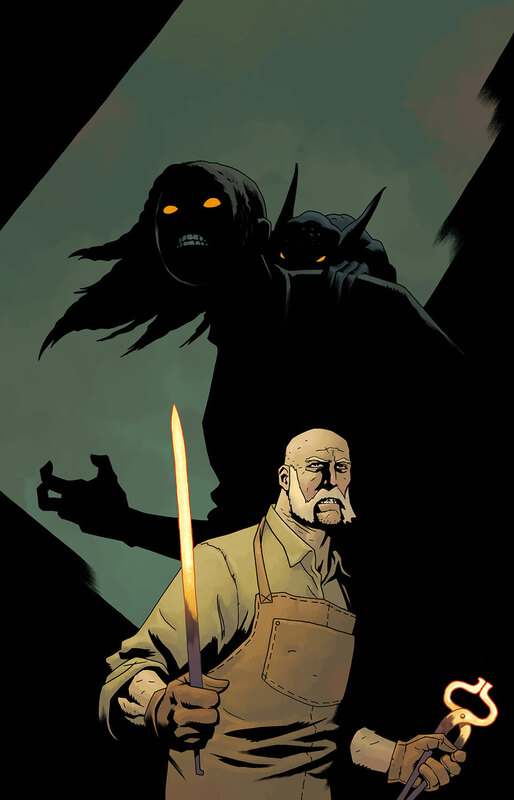 Collects issues #1–#5 of the miniseries. 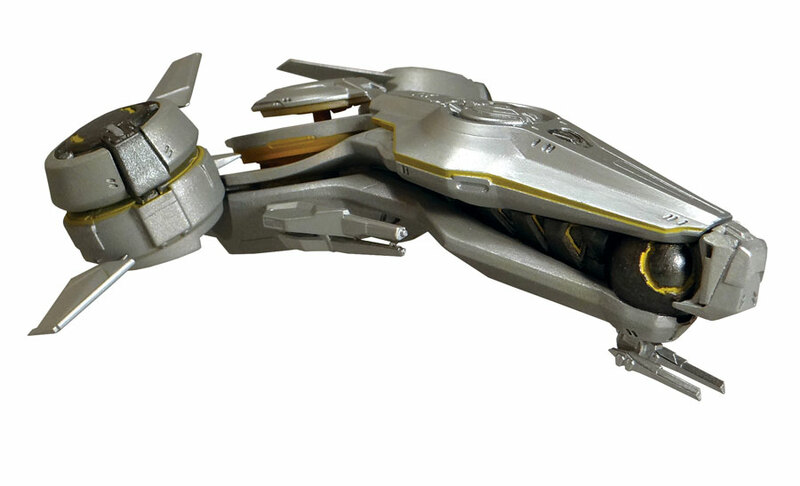 To stop a psychic bomb that threatens to render all of humanity catatonic, the last Dream Voyager awakens! When the evil Zeirio goes on a rampage throughout the Dreamworlds, it’s up to a new generation of the Dream Gang to put him down. From the fertile mind of Brendan McCarthy—the cowriter/designer of Mad Max: Fury Road and a contributor to Dark Horse Presents and 2000 AD! 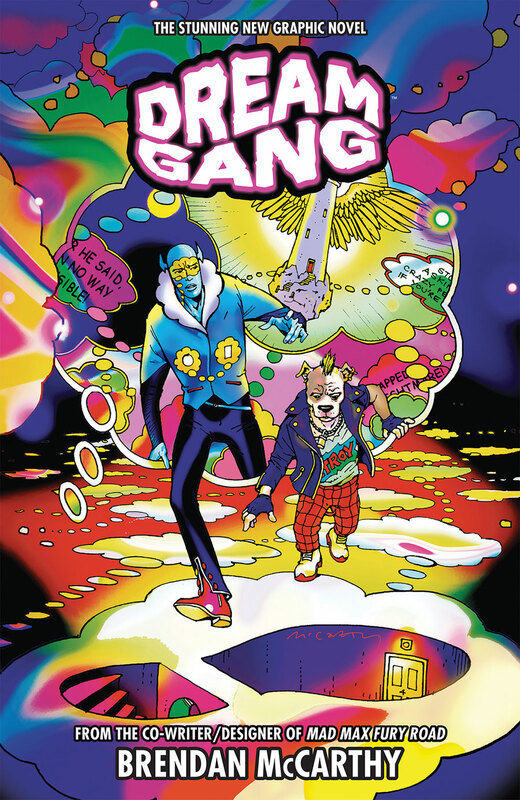 Collects Dream Gang chapters from DHP #1–#4, #7–#10, and #14–#17. • Features new artwork and remastered lettering for this collection. 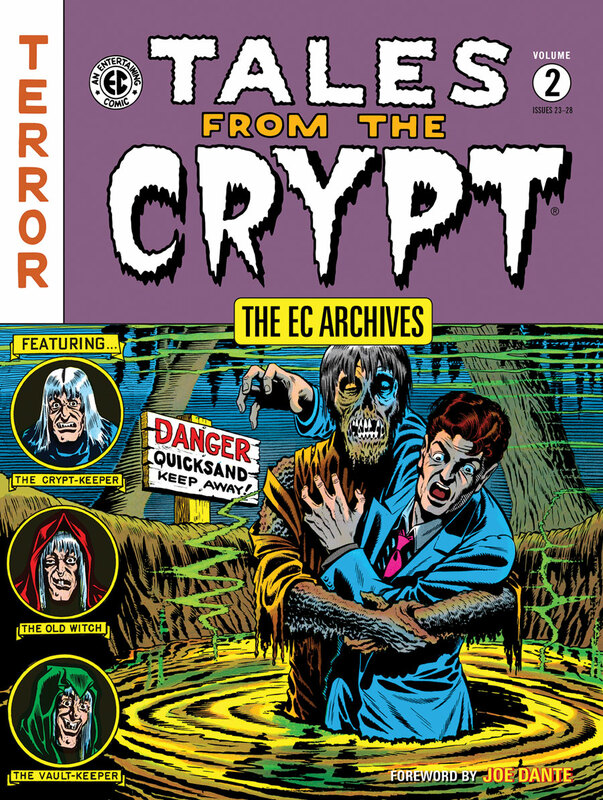 More classic horror tales written and illustrated by the all-star lineup of Al Feldstein, Wally Wood, Jack Kamen, Johnny Craig, Joe Orlando, Graham Ingels, and Jack Davis! 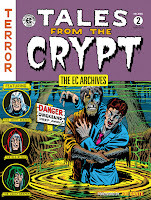 Reprinting twenty-four stories from Tales from the Crypt #23–#28, the inspiration for the hit movie and HBO series! • Foreword from Gremlins director Joe Dante! One of the most dramatic moments in season 5 of HBO’s adaptation of Game of Thrones is when the Night King, demonic leader of the White Walkers, raises the fallen Wildlings in the aftermath of the massacre at Hardhome. 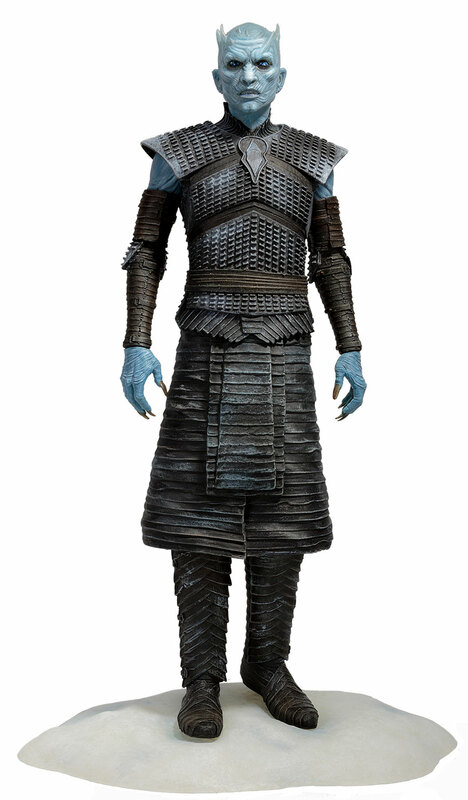 We have captured the sinister nature of the Night King in this highly detailed 8” figure. When Emmy is called upon to investigate a haunted house, she’s surprised by how . . . normal . . . the family that lives there is. But as she encounters mysterious bumps and creaks in the night, she finds that the house has dark secrets of its own. 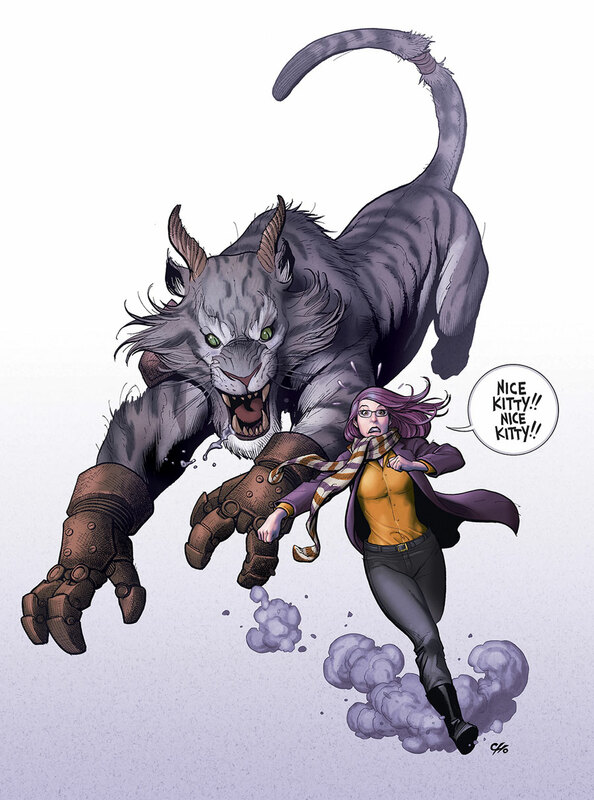 • Guest art by award-winning illustrator Hannah Christenson (Mouse Guard: Legends of the Guard)! 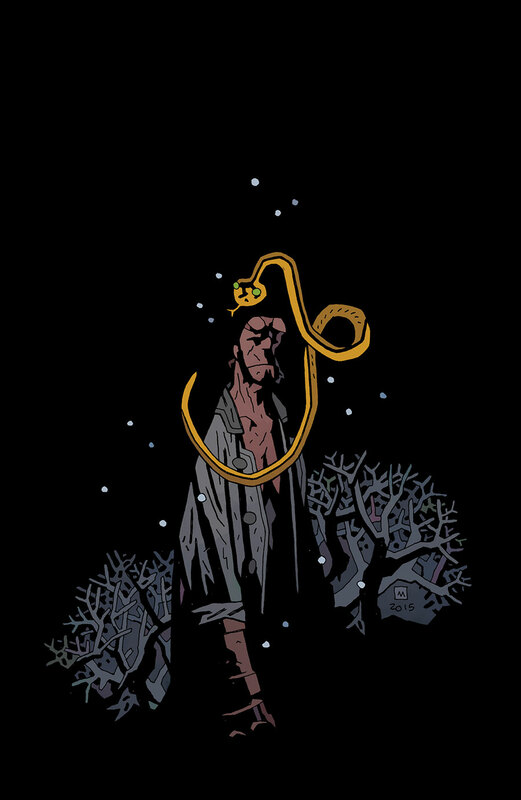 • First part in the two-issue conclusion to Hellboy in Hell! Sarah Winchester’s house is always under construction—the banging of hammers keeps her demons at bay. Her construction crew of vagrants and murderers build, tear down, and rebuild the mansion according to her visions. 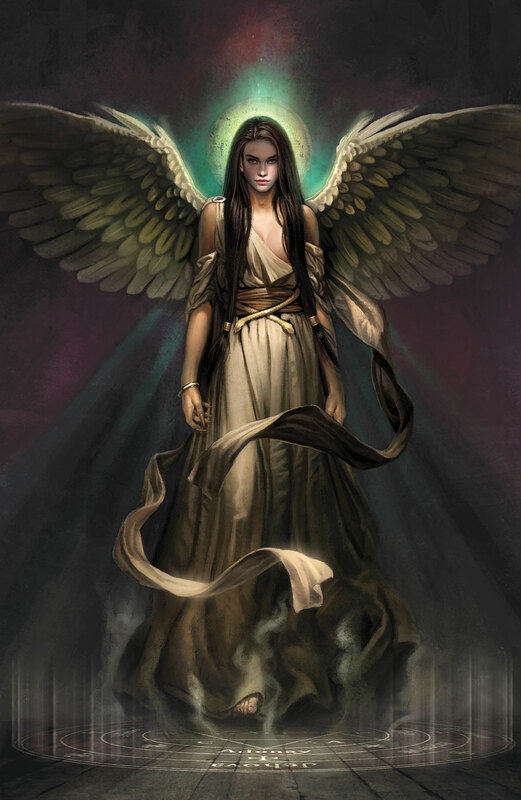 But her newest employee, Warren Peck, has brought some demons of his own . 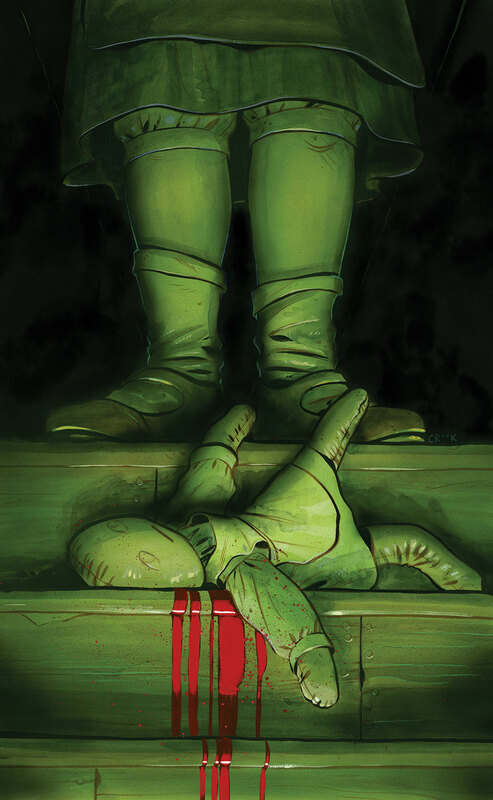 . .
• A historical tale of horror from creator Peter Tomasi (Batman and Robin, Green Lantern)! Forty years after disaster left Lower Manhattan submerged in thirty feet of water, the Drowning City has taken a turn for the weird, and Joe Golem is there to investigate. A mysterious and terrifying creature has been snatching children and pulling them into the depths of the canals, and those that drowned in the floods are coming back to the surface—alive. Collects the five-issue miniseries. 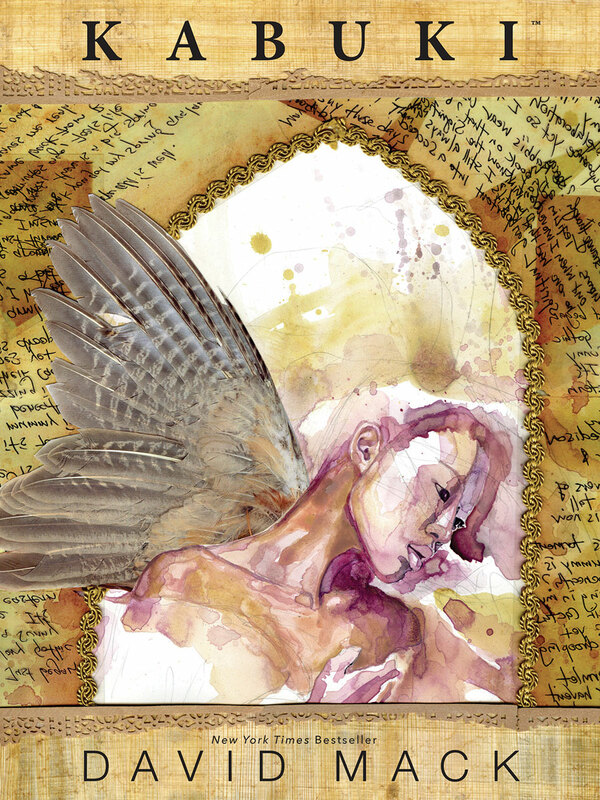 This edition collects Kabuki Volume 7: The Alchemy and more—including all-new material by David Mack! 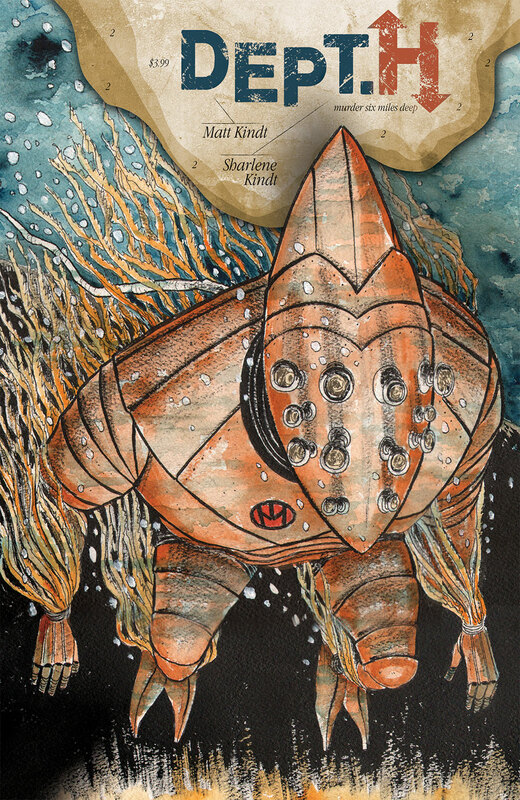 With the help of Akemi, Kabuki has escaped from Control Corps amid all the fallout and mayhem. And now that Kabuki has the chance to learn what her true calling in this life is, it seems there is a kind of Akemi network. A network that Kabuki herself will be asked to help in. And it seems Akemi is attempting a kind of revolution. One that Akemi expects Kabuki to play a major part in. A revolution that will change the landscape of their world forever. 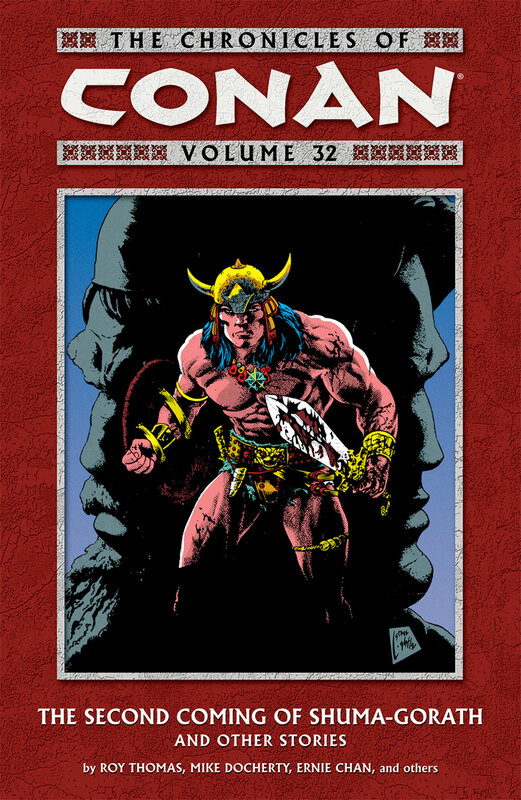 King Conan grows weary of the crown, and when an old soldier visits him with talk of a cursed relic and rumors of Pictish tribes preparing a full-scale invasion on Aquilonia’s borders, Conan eagerly embarks on what could be his final adventure! 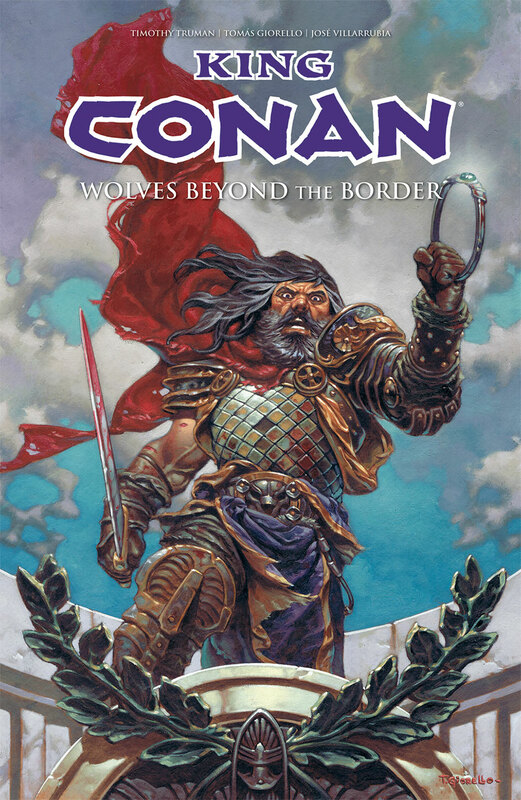 Timothy Truman and Tomás Giorello expand on Robert E. Howard’s unfinished “Wolves Beyond the Border” tale! 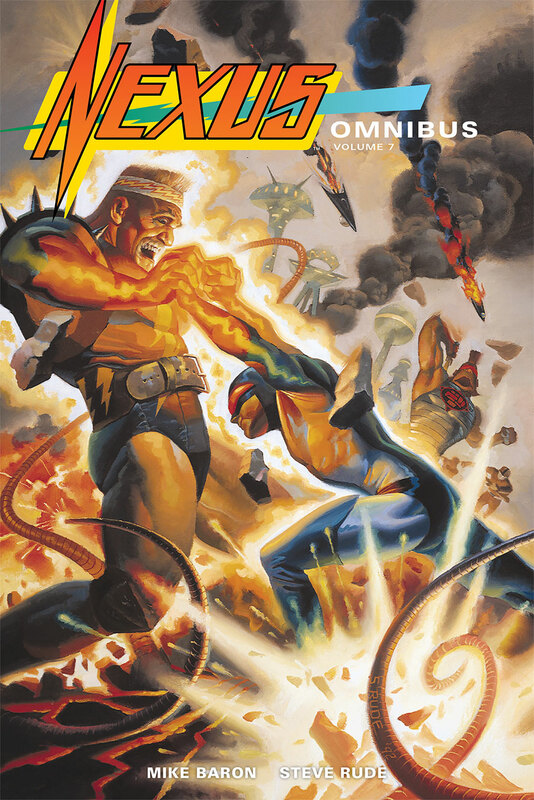 Collects issues #1–#4 of the miniseries. A bittersweet reunion takes place against a backdrop of unrelenting terror as the crusader turned remorseless killer known as Southern Belle makes the brutal death of Megalopolis’s last true heroes her personal mission. And something far worse than wicked this way comes, from the bowels of the earth itself! 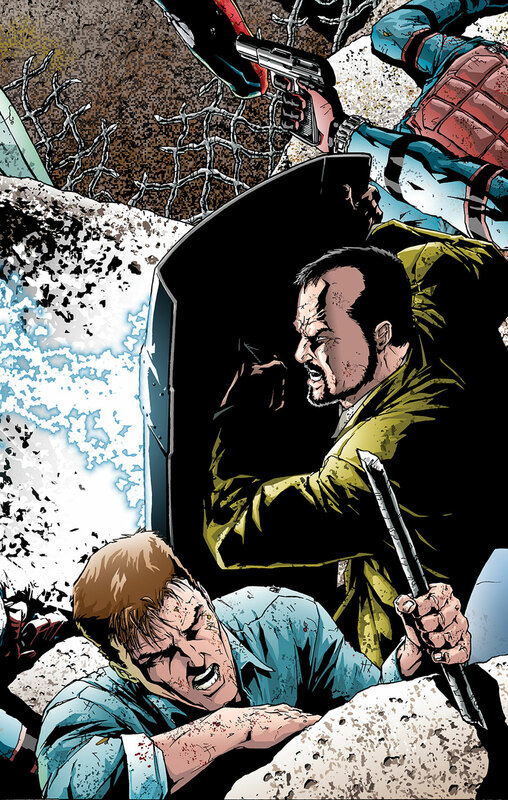 The mind-blowing sequel to the massive Kickstarter hit Leaving Megalopolis continues! • A new series from four time Eisner-winning artist Gene Ha! Poachers, trophy seekers, killing contests, and sport hunting: Ninth Wave is having none of that. 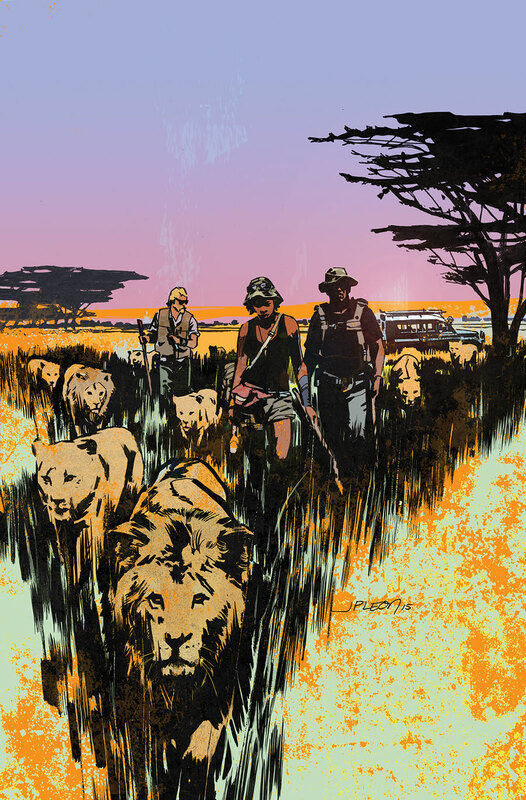 This series concludes with a roaring story of bravery and comradeship on the plains of Africa. Ltd. Ed. HC, 6" x 10 3/16"
This deluxe hardcover collects, for the first time, every Mister X comic published by Dark Horse, including Condemned, Eviction, and Razed, along with never-before-seen behind-the-scenes material! 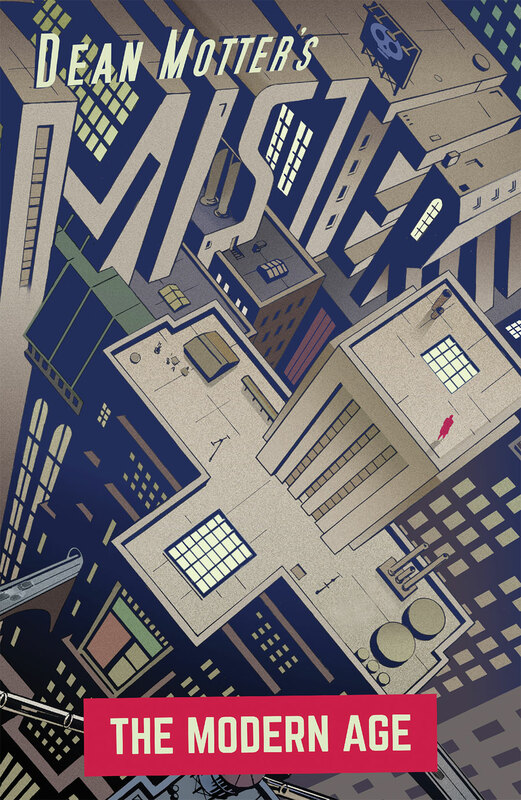 In the retrofuturistic metropolis of Radiant City, its mysterious creator, Mister X, must protect the city and its residents, as the architecture of the city poses a danger to all those within it! • Limited to only 500 copies, each signed by creator Dean Motter! Trine Hampstead knows everything. Ask her a question like “Where are my keys?” or “Is he cheating on me?” or “How are there perfectly preserved mammoths in recent ice?” and she just knows. She’s the Mystery Girl. The only things Trine doesn’t know are anything else from the last ten years of her life or why a killer has targeted her! 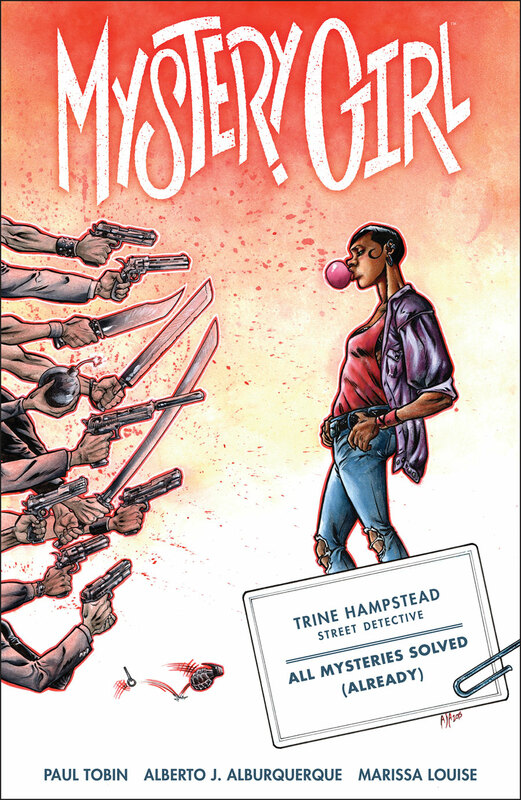 Collects Mystery Girl #1–#4. 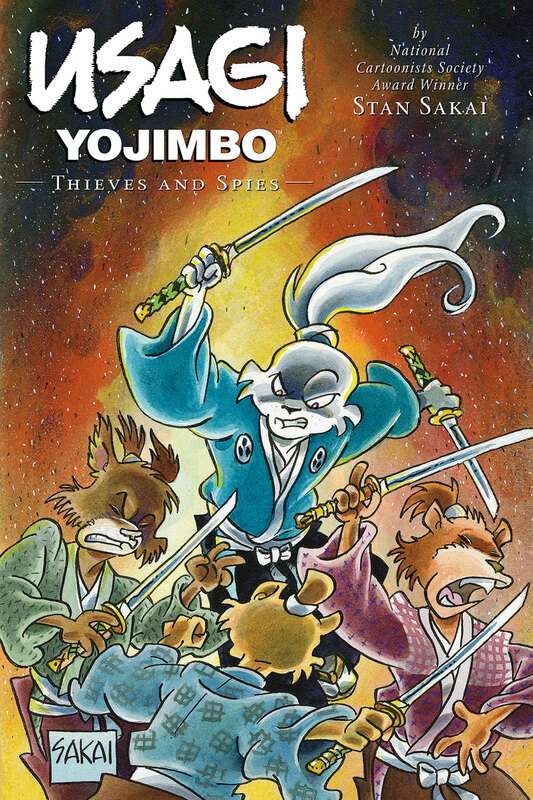 • Multiple Eisner Award winner! The fourth goddess, Peorth, arrives in Keiichi’s life . . . to make it more complicated than ever! 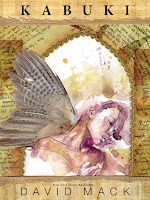 Peorth, mistress of roses, is in the same business as Belldandy—granting wishes to mortals. Keiichi thinks there must be some mistake, as he already has Belldandy in his life . . . but Peorth is certain he can’t really be satisfied, or else how was he able to contact her? Now she’s determined to stick around until Keiichi admits to what he really wants . . . so she can grant it! • Oversize format collects the manga with brighter paper and bonus color! Kyousuke and Kuroneko spend their days wonderfully established in a boyfriend-girlfriend relationship—then suddenly, Kuroneko decides that they must break up! In the end, what will be the true relationship between Kuroneko and Kyousuke . . . and between them and Kirino? 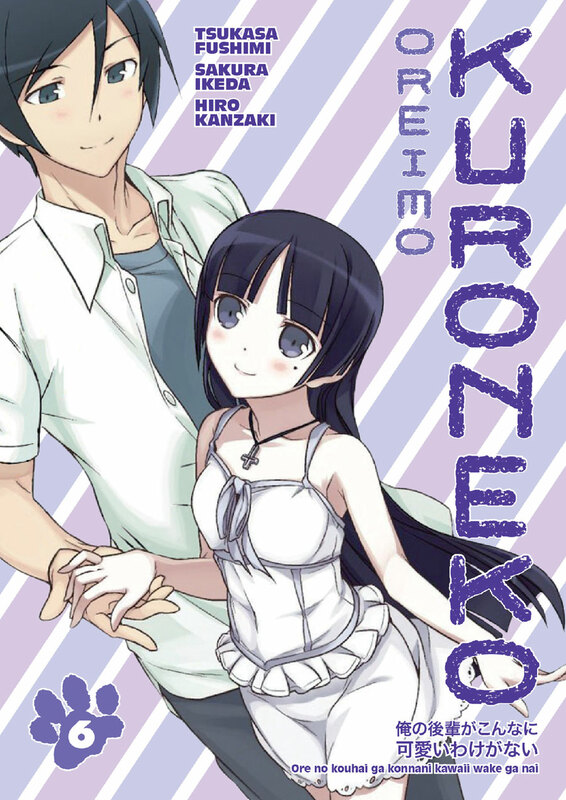 The Oreimo: Kuroneko spinoff story wraps up in this final volume! When five deep-time explorers find themselves stranded in the distant past of 2015, they’re forced to adapt to a primitive world of iPhone 6s and cars that can’t even drive themselves. 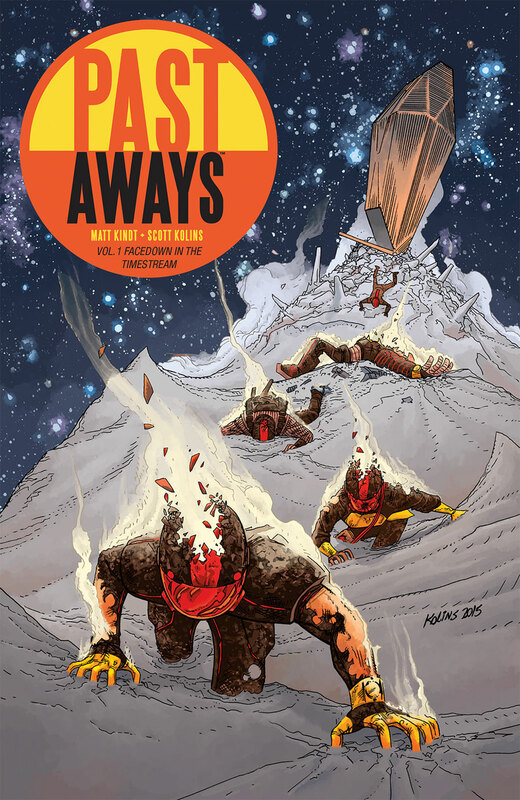 But when a rift in space-time starts spitting out dinosaurs, giant robots, and other strange phenomena, only the marooned “pastaways” can defend the twenty-first century from the terrors of the timestream! 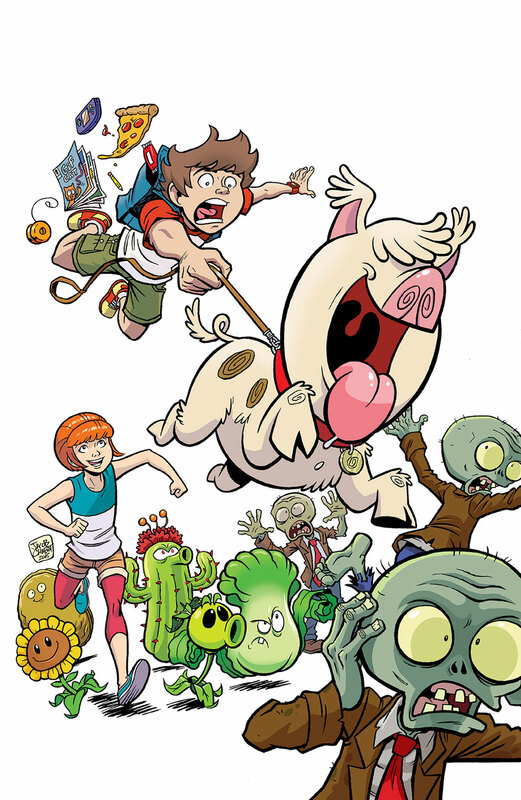 Patrice, Nate, and Twister the Hybrid Pig-Dog explore the Caves of Moderately Certain Doom and a Few Unpleasant Odors in their search for the powerful, Neighborville-saving Boom Boom Mushroom! Underground gargantuar zombies abound as Paul Tobin and Jacob Chabot take us to yet another secret Zomboss lab! Bonus stories by PopCap Games senior artist Rachel Downing and Motorcycle Samurai writer and artist Chris Sheridan! 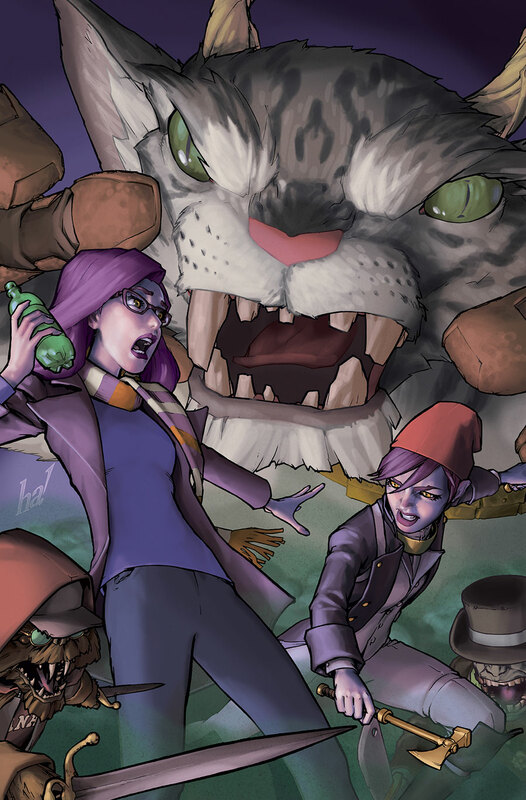 • Bonus stories by two PopCap Games in-house artists! The Colonial Marines discover the corporate claim jumpers they’re protecting have been hiding what they know about the massive, horseshoe-shaped alien spaceship. Meanwhile, the Predators go on the offensive! Dark Horse is proud to announce an exciting new series of creative designs for Snoopy, one of the world’s most beloved comics characters. The success of The Peanuts Movie (just released on blu-ray/DVD) has stimulated interest from both longtime and new audiences. 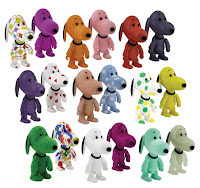 Through special arrangement with Peanuts, we are giving Snoopy a wildly designed Qee treatment. The Qee figures are in a mystery box assortment like our previous sold-out editions of Domo and Good Luck Trolls. 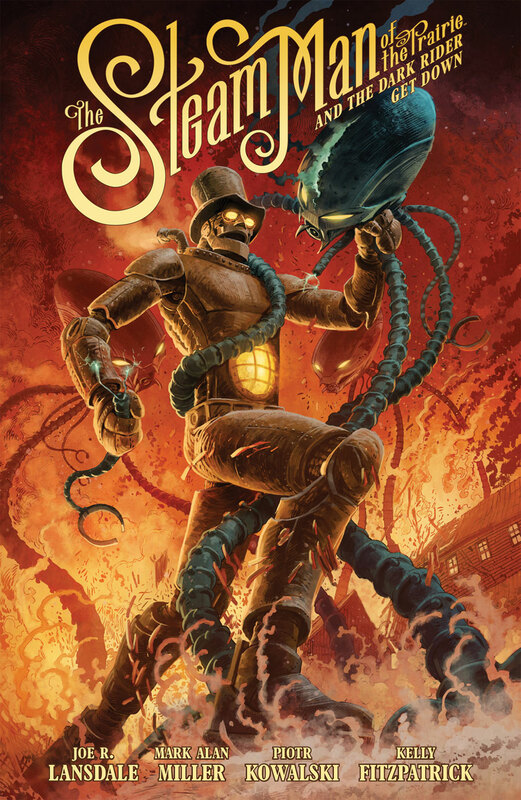 Enormous steam-powered robots march across the Great Plains of the old American West, protecting the populace against invading aliens and monsters! 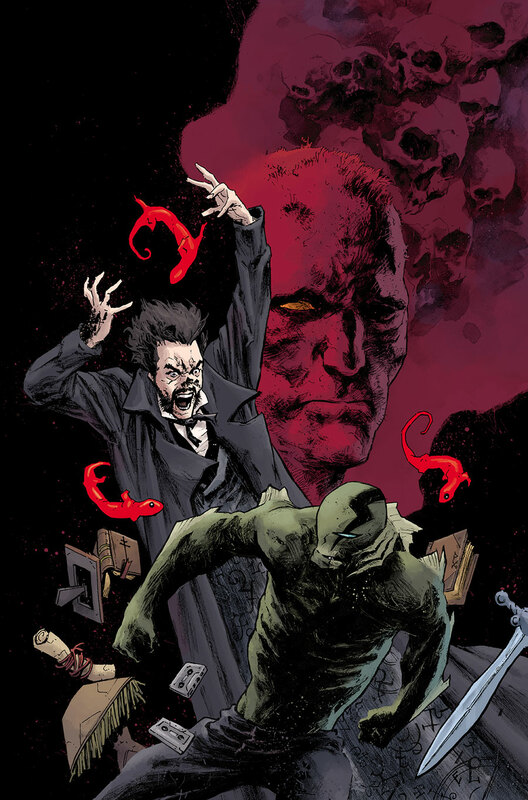 The Steam Man and his operators seem to have their task well in hand, until a crazed and powerful vampire comes to town intent on bringing forth the apocalypse! 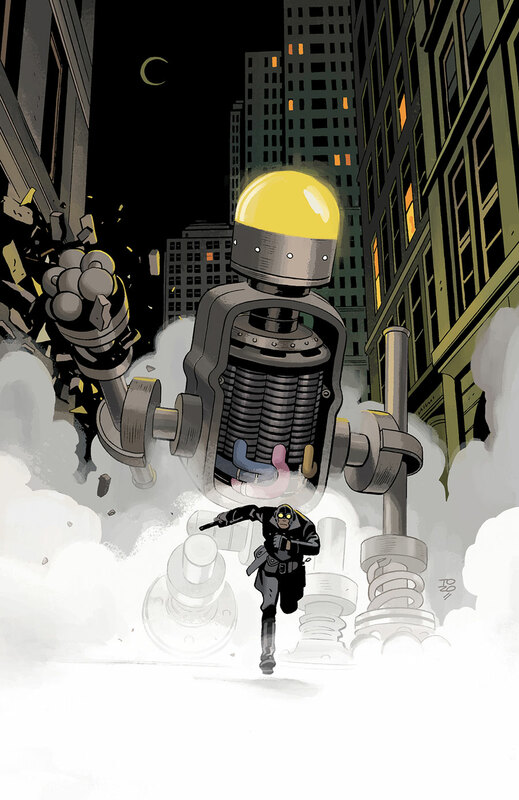 Collects The Steam Man #1–#5. 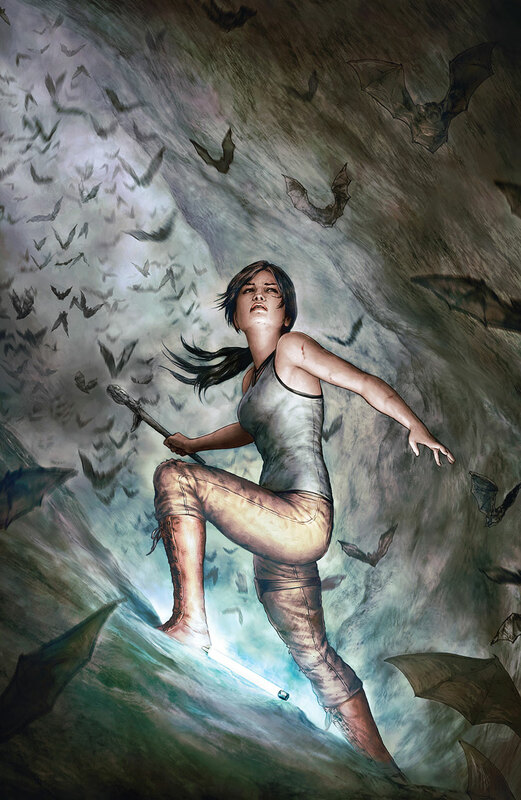 After Rise of the Tomb Raider, Lara Croft’s adventure continues with Eisner Award–winning writer Mariko Tamaki! • Also available in a limited edition, signed and numbered hardcover! 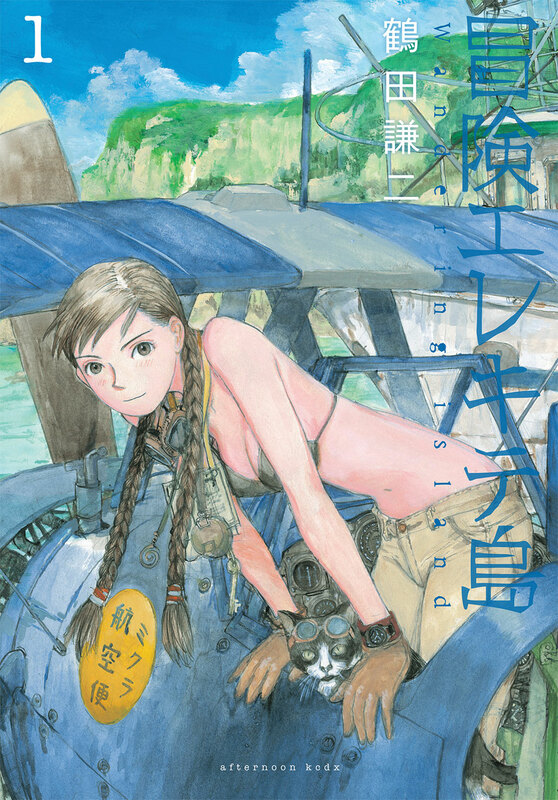 TP, 5 3/4" x 7 1/4"
Mikura Amelia is a free-spirited young woman who lives alone with her cat and operates an air delivery service, flying her vintage seaplane to Japan’s small island communities located hundreds of miles out in the Pacific. When her beloved grandfather passes away, she discovers he left her an undelivered parcel, addressed to an island that doesn’t exist . . . or does it? To answer the question, Mikura flies off in search of the truth behind the Wandering Island! • Retro flying adventure in the spirit of Hayao Miyazaki. • Special extended wraparound cover with French flaps.